Ever thought about running thrilling white water rapids solo? Or you have experience running calmer waters but you want something more challenging? Come join us. 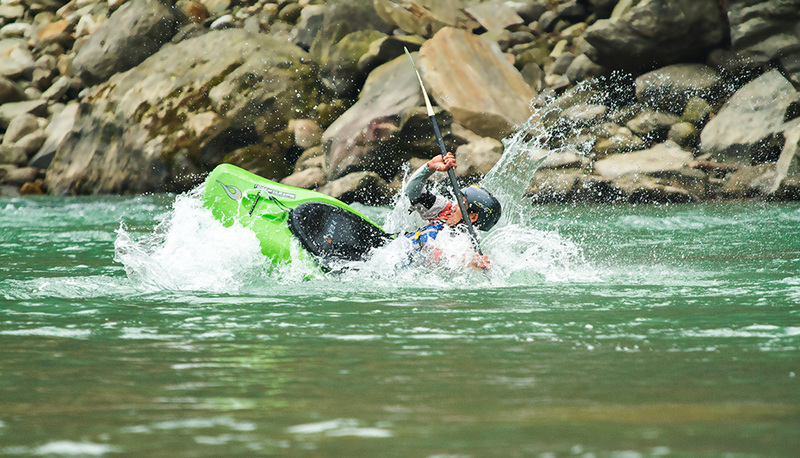 Say hello and let us know how interested you are in learning whitewater kayaking. We’ll then try and create a great course tailor made just for you. There’ll be a 3:1 guide ratio, so don’t worry about getting stuck in the kayak after it flips. 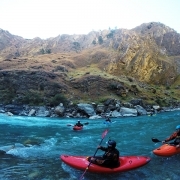 Nepal River Runner offers unique kayaking trips to both the first-time novice and amateur kayaker. 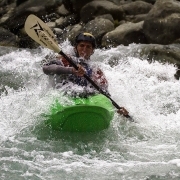 For professional kayakers we offer kayaking expeditions to almost all runnable rivers. Our selection of trips provides an incredible opportunity to experience exotic beaches, villages, wildlife and gorges. 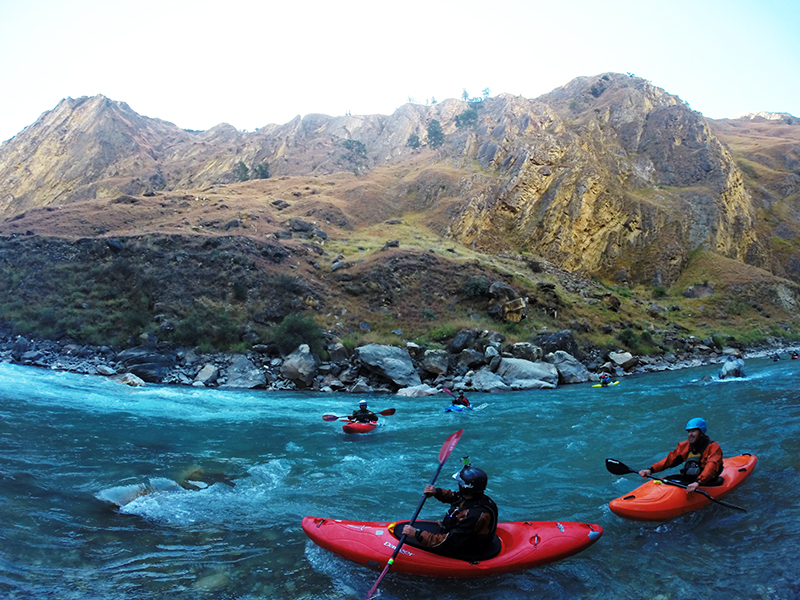 Come join us and explore class II-III whitewater aboard inflatable kayaks, experiencing some of Nepal’s most spectacular terrain by floating in the thrilling whitewater rapids along the country’s Himalayan Rivers. 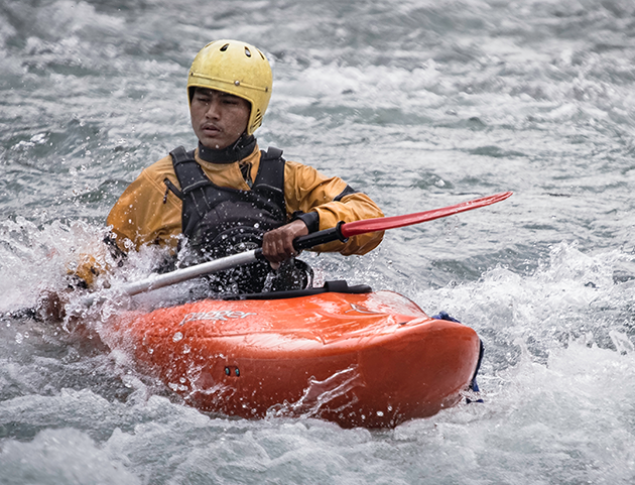 All you need is a sense of adventure and fun – you don’t have to be professional paddlers to enjoy kayaking in Nepal. 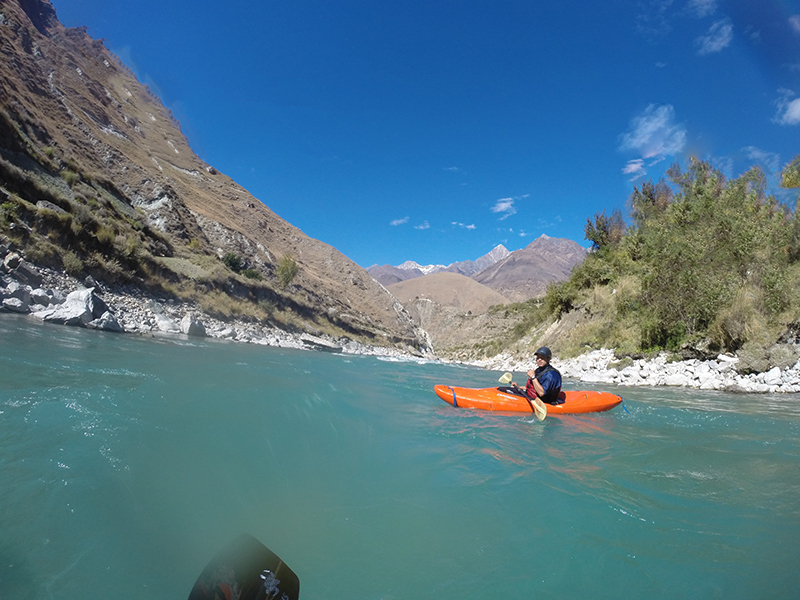 Currently we’re offering 4 day Kayaking clinics in Trishuli River where we teach first timers how to get a grip on a kayak, feel safe in white water and perform a perfect roll in the end. Learn to paddle well and safe as we teach you how to enjoy the freedom of paddling a kayak. Learn how to kayak with an emphasis on safety - the safety skills you learn will be a life saver. 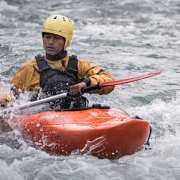 Practice is very important for even a basic level of whitewater rafting - we offer whitewater courses to both beginners and experienced paddlers. 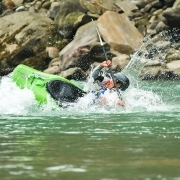 Learn the fundamentals of “the combat roll” and perfect your rolling technique with the help of our kayak gurus. We’ll pick you up at your hotel in Thamel and then we’ll head to the put-in point Baireni, which is a two hour drive from Kathmandu. Once there our river guides will prepare all the needed equipment and give you complete safety and paddling instructions to get you ready for the big adventure ahead. The first day will be easy and difficult at the same time. You’ll fall off your kayak, get in, rescue yourself, learn about water movements and more importantly get used to the river and your boat. At the end of the day we’ll set up camp in a secluded beach and enjoy our dinner beside the river! You’ll be learning the basics of a roll on the second day. We’ll teach you how to turn upside down and get back on your boat again without any assistance from your guide. We’ll also teach you about eddies, holes, waves and teach you how to cross the river and start paddling across the river current. At the end of the day you will overcome your fear of the river and get ready for the big day tomorrow. All your practice is put into the test today as you start off running a few bumpy rapids (II/II+) while our guides teach you how to use the appropriate strokes and navigate the river perfectly. At the end of the day we’ll set up camp at a beautiful beach, watch the sun set and as the twilight fades, it’s time for a delicious and well deserved treat prepared by our expert cooks! On the final day you’ll put into practice everything you learnt in the previous days – only this day you won’t flip and will be able to enjoy paddling. 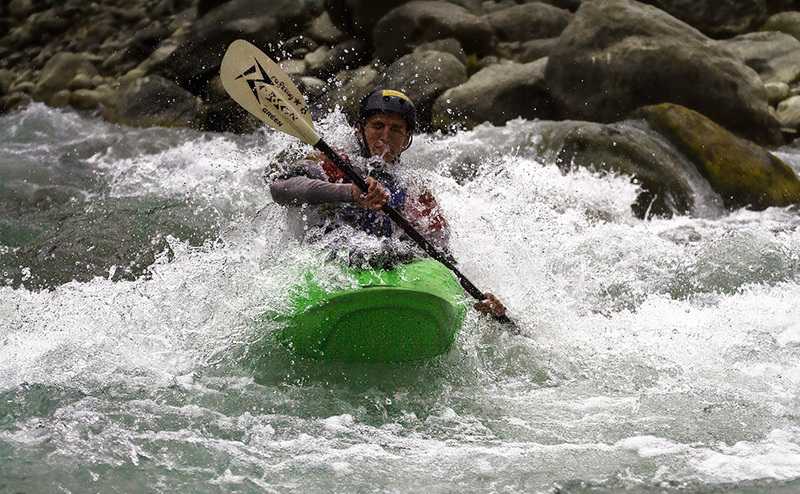 You’ll paddle through some exciting Class II / III+ rapids on your final day. After lunch we’ll transfer you to your hotel in Thamel and at night we’ll celebrate your successful training. You can also choose any date from our booking page that you want .